The organizers want to warmly thank the more 500 participants who attended the INL Summit 2017 in Braga. We are glad to announce that we had more than 30 partners that joined us in this challenge! We hope that you enjoyed the conference and the opportunity to get involved in this technological (r)evolution with us. We believe that the diversity of speakers brought different perspectives of how nanotechnology can, and will, influence our day to day lives. Nanotechnology is all around us, we just need to look closely! We leave you with some memories of the event as well as the authorized presentations (soon). “Nanotechnology: The New Economy” conference will gather the most skilled professionals in the area. Scientists, politicians and economists will discuss the various applications of the technology, the consequent reshaping of the economic and social systems and how much it will change our daily life. We are witnesses to faster, more comprehensive change shaped by new technology than any civilization in history. This is but the beginning of a new wave of technologies, that will redefine, reshape and eventually transform economies and societies on a global scale. Nanotechnology is the continuation of the next chapter in the acceleration of advanced technology and is pointing towards the transformation of the future global economy. At the INLSUMMIT 2017 there is free WiFi. When you arrive at the venue, you just need to sign in and using the standard log in, or via LinkedIn, Facebook, or Twitter. INLSUMMIT 2017 will offer a great range of food and drink so that you can keep refreshed throughout the days. INLSUMMIT 2017 is organised by INL - International Iberian Nanotechnology Laboratory. To get in touch email us: inl.summit@inl.int. When booking, don't forget to mention that it is for INLSUMMIT 2017 to get your discount. Session 1: Science not Fiction! 10h00 - 10h30 :: Edwin Thomas, Dean of Engineering, Rice University, United States :: "Indistinguishable from Magic?" 11h45 - 12h15 :: Robert M. Westervelt, Director of Center for Nanoscale Systems, Harvard University, United States :: "Science & Technology Center for Integrated Quantum Materials"
12h15 - 12h45 :: Paulo Ferreira, Director of Electron Microscopy Center, University of Texas at Austin, United States :: "Seeing Small: There is Plenty Our Eyes Can’t See"
14h00 - 14h30 :: Marc Nolla Harvey, Director of Strategic Initiatives SAP DGTAL EMEA, Spain :: "Innovation at Scale in Industry"
14h30 - 15h00 :: Rui Enes, Administrator of Delphi Automotive Systems - Portugal, S.A., Portugal :: "4th Industrial Revolution, Nanotechnology will make it possible"
15h00 - 15h30 :: David Carlander, Director Regulatory Affairs, Nanotechnology Industries Association :: "Defining the Safety of Nanotechnology Innovation"
16h30 - 17h00 :: Francisco Veloso, Dean of the Imperial College Business School, United Kingdom :: "Nanotechnology, entrepreneurship and industry evolution"
17h00 - 17h30 :: Gionata Tedeschi, Accenture Digital Strategy Lead, EALA, Italy :: "The combinatorial effect"
17h30 - 18h00 :: António Murta, Managing Partner and Co-founder of Pathena, Portugal :: "Nano: Macro Opportunities"
18h00 -18h30 :: Magnus Ryde, Partner at Spirit Ventures, Nordic and Baltic countries :: "Invest in Deep Tech in Europe"
18h30 - 19h00 :: Gerard de Bourbon Ponce de Leon, Chief Evangelist, TELE2 IOT :: "From Idea to Revenue"
Luís Miguel Girão, Director of Artshare, Portugal and Belgium :: "Integration of artists in innovation processes, what not to do: the lost opportunity of Arts@CERN"
Saulo Baretto, Director IPTI, Brazil :: "Social Technologies: merging creativity, science, technology and society to generate effective and scalable solutions"
Kyu-Hwang Yeon, Head of Daegu Center for Creative Economy, South Korea :: "Retrospect on Developing Startup Ecology by Korean Government"
José Tavares, Professor, NOVA University, Portugal :: "Is The Old Economy Prepared for Future Technology?" Luc Soete, Former Rector - Maastricht University, The Netherlands :: "Benefitting across the board from nanotechnology: the economic challenges"
Pedro Norton de Matos, Greenfest Mentor, Portugal :: "Towards circular economy powered by nature and human technology"
Steffi Friedrichs, Directorate for Science, Technology and Innovation, OECD :: "Nanotechnology - an Enabler of the Next Production Revolution"
Since Sept 1st, 2014, Lars Montelius has been the Director General for INL, The International Iberian nanotechnology Laboratory located in Braga, Portugal. He lectured Nanotechnology at Lund University, Sweden where he was Dean of the Physics Department, Science and Engineering Faculties, Lund University, during 2003-2009. From 2009-2011, he was director for Öresund University & Öresund Science Region, being a cross-border cooperation between eleven universities, three regional authorities, two countries in the Öresund Region. Between 2007 and 2014, he was chair of the Swedish Technical Standardization Committee on Nanotechnology and he is the founder of several Swedish companies working with nanotechnology. Currently, he is the President for IUVSTA: The International Union for Vacuum Science, Technique and Applications with more than 150 000 members from 32 countries and he is a member of the EC Executive High Level Group (HLG) at DG NMPB, board member and Working Group Chair of the two European Technology Platforms NANOFutures - The European initiative for sustainable development by Nanotechnologies - and EuMat - The European Technology Platform for Advanced Engineering Materials and Technologies. Paulo Ferrão is President of the Board of Directors of the Fundação para a Ciência e a Tecnologia (FCT). He has also been the director of the MIT-Portugal programme since 2006. 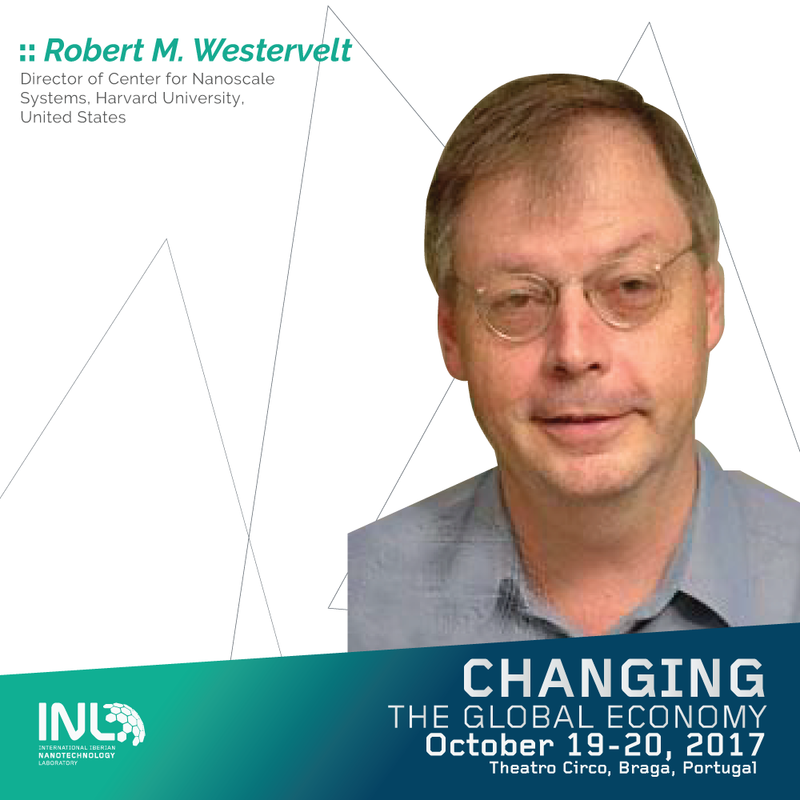 He is Full Professor at the Instituto Superior Técnico (IST) of the Universidade de Lisboa, where he leads the IST Energy Initiative, the PhD Programme in Sustainable Energy Systems and the IN+ research centre, for Studies in Innovation, Technology and Policy Research. With a widely acknowledged international career, Paulo Ferrão is a member of the U.S. National Academies Roundtable on Science and Technology for Sustainability, of The National Academies of Sciences, Engineering, and Medicine, where he also sits on the Committees on Pathways to Urban Sustainability and on Sustainability Linkages in the Federal Government. He is a member of the Environmental Advisory Board to Rolls Royce, an MIT Research Affiliate, associate and past board member of the International Society for Industrial Ecology. He is co-author of the book “Sustainable Urban metabolism”, published by MIT-Press in 2013, and of “Urban metabolism of six Asian cities”, published by the Asian Development Bank, in 2014. Rui Miguel Coelho is the main and most recognized European Expert in Personal Branding Strategies, having an active role in this field since 2003. He is actually the main Partner of WestField + Brooks®, the CEO – Chief Enthusiast Officer of PersonalBrands® Portugal and the Executive Director of CareerAGENTS© Europe, all of them a reference in the active branding and development of professional careers and Services Innovation in several industries. Besides being a full-time father he is also fully dedicated to entrepreneurship initiatives through bringing structural investment to Portugal and has an International Certification Program in place to develop the best and the most dedicated and well prepared Personal Brand Specialists in Europe and Latin America. 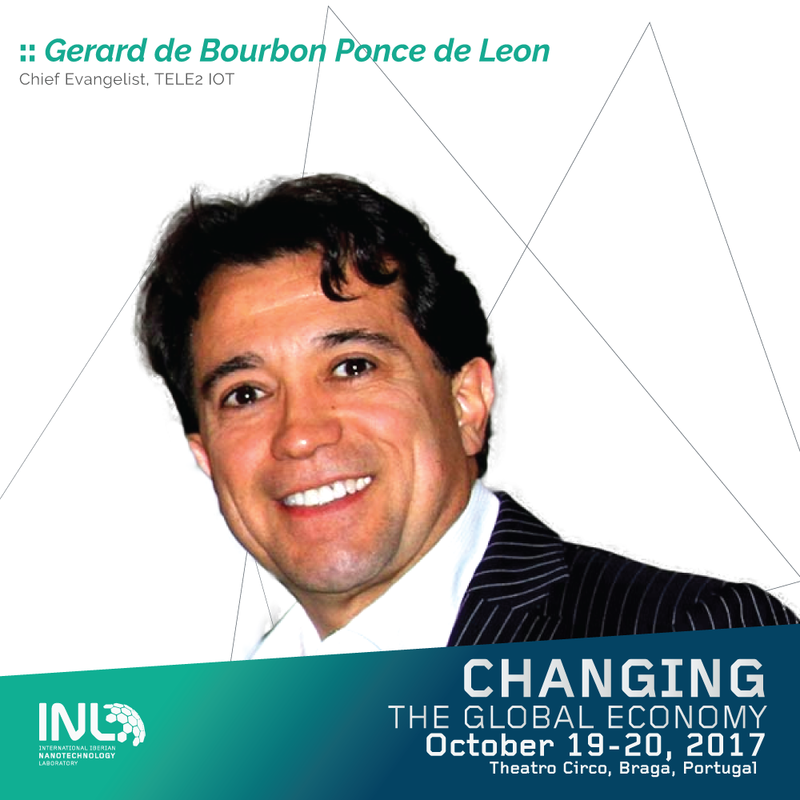 He is also presently the founder and main strategist of the international movement CareerMANIFESTO and is also the Executive Director of EcoCampus, the first business platform 4.0 dedicated to the Green Economy in Portugal. Edwin L Thomas's carrier started at the University of Minnesota and then moved to the University of Massachusetts where he founded and served as co-director of the Institute for Interface Science and was head of the Department of Polymer Science and Engineering. In 1988, he became the Morris Cohen Professor of Materials Science and Engineering at the Massachusetts Institute of Technology and was Founding Director of the Institute for Soldier Nanotechnologies. In 2011, he became Dean of Engineering at Rice University. Thomas is the recipient of the 1991 High Polymer Physics Prize of the American Physical Society and the 1985 American Chemical Society Creative Polymer Chemist Award. He was elected a Fellow of the American Physical Society and a member of the American Academy of Arts and Sciences and the National Academy of Engineering. Elvira Fortunato is full professor in the Materials Science Department of the Faculty of Science and Technology of the NOVA University and a member of the Portuguese Engineering Academy since 2009. Fortunato pioneered European research on transparent electronics, namely thin-film transistors based on oxide semiconductors, demonstrating that oxide materials can be used as true semiconductors. In 2008, she received in the 1st ERC edition an Advanced Grant for the project “Invisible”. Fortunato published over 500 papers and during the last 10 years received more than 16 International prizes and distinctions for her work, from which: Blaise Pascal Medal from the European Academy of Sciences (2016) and the Czochralski Award by the Polish Academy of Sciences and the E-MRS (2017). Currently, she is the director of the Institute of Nanomaterials, Nanofabrication and Nanomodeling and of CENIMAT. She is member of the board of trustees of Luso-American Foundation (Portugal/USA, 2013-2020). Robert Westervelt received his PhD from UC Berkeley in 1977. Following a postdoctoral appointment, he moved to Harvard, where he is currently the Mallinckrodt Professor of Applied Physics and Physics. Westervelt's group builds cooled scanning probe microscopes to image electron motion in 2D materials. Westervelt is the Director of the NSF Science and Technology Center for Integrated Quantum Materials based at Harvard, which includes faculty at Howard University and MIT, and outreach through the Museum of Science, Boston. In addition, he is the Director of the Center for Nanoscale Systems at Harvard that provides shared facilities for nanofabrication and imaging for quantum materials and devices. Paulo Ferreira is currently the Head of Department of Advanced Electron Microscopy, Imaging and Spectroscopy at INL. He has a Ph.D in Materials Science and Engineering from the University of Illinois, USA and has done his Post-doctoral work at MIT in Materials Science and Engineering. He is also Robert & Jane Mitchell Endowed Faculty Fellowship in Engineering and Full Professor at the University of Texas at Austin, USA. He concentrates his scientific research in the areas of Nanomaterials, Nanotechnology and Electron Microscopy applied to Alternative Energy Technologies and has been involved in initiatives with various American and Portuguese institutions in the areas of Education and Higher Education, Systems of Innovation, and Science and Technology. He is co-author of three books, namely “Materials 2000”, IST Press, 2003, “Investing in the Future: University-Industry Collaborations in USA and Portugal”; and “Nanotechnology for Architects, Designers and Engineers” and he is author of more than 167 papers scientific articles published in international journals and conference proceedings. In addition, Prof. Ferreira is part of the Editorial Board of Review of “Metallurgical and Materials Transactions”. José Maria Albuquerque is currently Member of the Executive Board of the National Institute of Health Dr. Ricardo Jorge (INSA, IP), Ministry of Health (MH), Portugal. He is in charge of the R&D&i management of the Institute; coordinates the institutional quality programme, the Institute’s laboratorial certification and accreditation policy, as well as the scholarship programme. He co-heads the WHO Collaborating Center for Nutrition and Childhood Obesity at INSA, IP, and is a Member of the Executive Board of Eurohealthnet (Brussels). Marc Nolla Harvey is the Director Digital Transformation Office SAP EMEA South and has over twenty years of experience, supporting SAP customers across industries in the automation and improvement of their business processes. Marc leads the SAP Digital Transformation Office in EMEA South, a team of innovators engaging with top executives across the region to help them understand how disruptive technologies are transforming their industry. From the internet of everything to machine learning, from distributed ledger technology to the platform economy, he aims to find the business and social benefits of these new technologies to help organizations move from inspiration to execution. Since 2014, Rui Enes is the Administrator of Delphi Automotive Systems in Portugal and responsible for the Delphi’s factory located in Braga. Passionate about electronics, Rui Enes has a degree in Electronics and Telecommunications Engineering from Faculdade de Engenharia da Universidade do Porto. He is also the business ambassador of Braga for InvestBraga. Rui Enes started his career as a member of the electronics laboratory in Grundig Electrónica Portugal, Lda and in 2003 became the administrator for Delphy Automotive Sustems- Portugal, S.A.
Dr Carlander is the Director of Regulatory Affairs for Nanotechnology Industries Association (NIA). He joined NIA in 2011 as a Director of Advocacy. In his position, he is covering the many sectors (e.g. food, feed, ag-chem), REACH and risk assessment of nanomaterials. He is coordinating and participating in a number of various research projects and is representing NIA at EU regulatory meetings (e.g. European Commission Sub Group on Nanomaterials under REACH) and at meetings organised by the European Chemicals Agency (ECHA) for accredited stakeholders. Before joining NIA Dr Carlander worked six years as Scientific Officer for the European Food Safety Authority (EFSA), where he was coordinating the risk assessment of applications of nanotechnologies. Before EFSA, Dr Carlander worked for the Swedish Ministry as well as the Swedish National Food Administration. Dr Carlander has (co)authored around 40 publications and has over 20 years of experience working with governments, academia, industry and international organisations. Annemarie studied physics at the University of Erlangen-Nuernberg and completed her diploma thesis at the local Max Planck Institute for the Science of Light on classical and quantum properties of non-uniformly polarized states of light. For her PhD, she transferred to the University of Oxford, researching in the area of experimental linear-optics quantum computing using a photonic integrated circuit. There, she held the Bobby-Berman Scholarship of University College, Oxford. After the completion of her PhD, Annemarie joined Bosch Chassis Systems Control (CC) in Abstatt, Germany, working in R&D on perception sensors in the context of highly automated driving. She recently transferred to Braga, Portugal, as innovation manager for Bosch Chassis Systems Control (CC) Portugal. 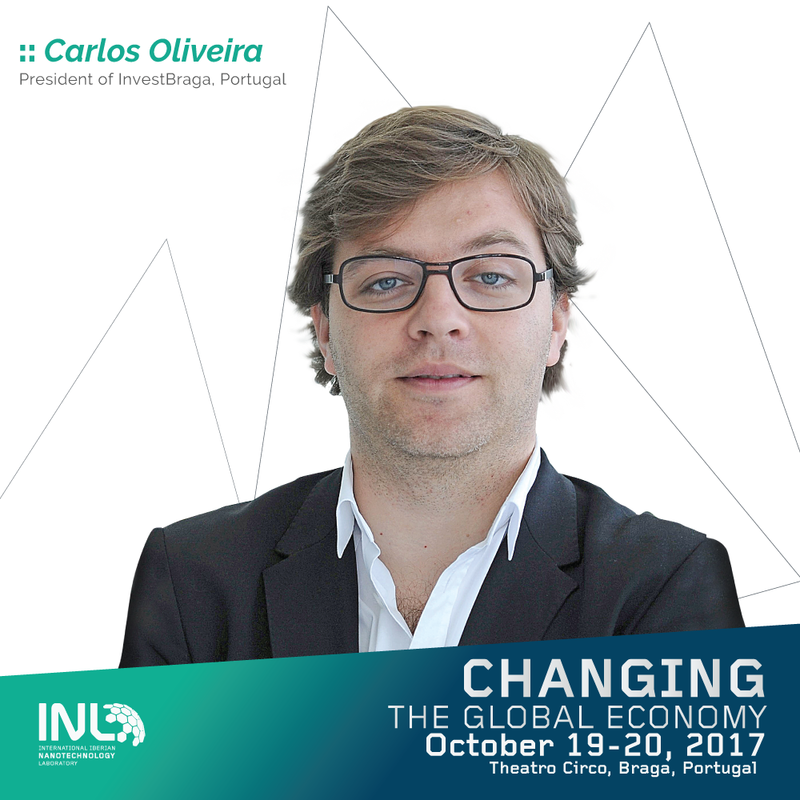 Carlos Oliveira is experienced in entrepreneurship and innovation management and public policies for innovation. He is also the former Secretary of State for Entrepreneurship, Competitiveness and Innovation at the Portuguese Government. In 2000 Carlos founded MobiComp, a startup in the mobile services arena, and led the company as CEO until July 2008 when he sold the company to Microsoft. Francisco´s research focuses on high tech innovation and entrepreneurship. He has several dozen publications in leading academic journals and has won several awards for his contributions. He has also worked as a consultant and advisor to a range of established firms, start-ups and universities around the world. He chairs the Advisory Board of the Portuguese Association of Business Angels and is a member of the RISE – Research, Innovation and Science Experts High-Level Advisory Body to European Commissioner Carlos Moedas. Gionata Tedeschi works with organizations from areas such as automotive, banking, insurance, media, retail, utilities and supports them in their digital, value-creation strategies. As speaker and author on innovation, he has been focused on leading edge topics for business transformation, such as IOT, big data, digital hubs, platform companies and industry 4.0. With nearly three decades of professional experience, he has acted as senior consultant, CEO and “startupper” of highly innovative organizations. Before joining Accenture- after experiences at McKinsey and Dun& Bradstreet – he has been founder of three different companies - afterwards listed - in the marketing and digital space. Gionata has spent most of his professional career in London, Paris, Tel Aviv and Milan—with a current professional responsibility at Accenture Strategy for Digital Strategy in Europe, Africa and Latin America. He founded and was CEO of Enabler, where he achieved a grow of business up to more than EUR 30m, employing more than 250 qualified engineers and exited it to Wipro. He founded several other IT companies and sold one of them to Microsoft. Magnus Ryde formerly served as CEO of DayStar Technologies of Milpitas, CA, Intematix Corporation of Fremont, CA and FlexICs of Milpitas, CA; President of TSMC North America. He also held senior executive positions at KLA-Tencor, the world’s leading supplier of process control and yield management solutions for the semiconductor industry. Currently, Ryde serves on the BoD of GLO AB, Sol Voltaics AB and Excillum AB of Sweden, Kaiam Corporation of Newark, CA and Ekahau Inc. of Reston, VA. He is also engaged in the establishments of a new pilot facility for nanotechnology manufacturing (ProNano) and a new venture capital fund for Key Enabling Technologies operating in the Nordic and Baltic countries (Spirit Ventures). He is a graduate of Linköping University of Sweden and he received his MS of Industrial Engineering and Executive MBA degrees from Stanford University. Mr. De Bourbon is an executive with more than 28 plus years of significant international management, sales, marketing, consulting, strategy, business development background gained at several blue chip, companies in the IT /Telecom industry, such as Verizon, CA, IBM, HP, Lucent, Ericsson, Hewlett-Packard, with a strong background in digital transformation, M2M, IoT, security, AI, cognitive and neural networking, contextual learning, finance, operations, mergers and acquisitions. He joins Tele2 IoT from Verizon where he drove the multi-billion Euro Northern European P&L, towards their enterprise clients. Throughout his career, Gerard and team championed substantial increases in sales, year on year. Tom Fleming is a leading international expert on the creative economy, cultural policy and creative cities and regions. His work focuses on advising governments, municipalities and institutions across the world to develop effective research, policy, strategy and action across the creative economy. He has led strategic research projects in every region, with a particularly strong track record in Europe, Asia, Caribbean, Sub-Saharan Africa, Russia and the Middle East. He has worked extensively across Portugal, including as Programme Manager for the Creative City at Guimarães, European Capital of Culture 2012 and a partner to the first creative industries mapping study and strategy for the Norte region in 2008. Major clients include The World Bank, UNESCO, European Commission, British Council, Arts Councils, Film Councils, multiple governments, municipalities, cultural and educational organizations and NGOs. He is Director of the UK’s leading creative economy and cultural consultancy and research agency: Tom Fleming Creative Consultancy (TFCC) and leads an interdisciplinary and multi-lingual team which is delivering multiple projects across the world. He has led multiple research, strategy and evaluation programmes in over 60 countries and 300 cities and regions. Luis Miguel Girão founder of Artshare, the NATO Art Expert, is a researcher generating support for EU and Transatlantic policy making in the field of the crossings of art, science and technology. He is a transdisciplinary artist developing applications of technology as tools for artistic expression focusing at the moment on bioelectromagnetism. He is a member of the Planetary Collegium and of the Centre for Sociology and Music Studies of Faculty of Social Sciences and Humanities of the New University of Lisbon, Portugal. In 2007, he was awarded the Bolsa Ernesto de Sousa prize, Lisbon-NYC. He collaborated with several artists and scientists and his work has been presented worldwide. He was coordinator of ICT ART CONNECT 2013 and of ICTARTCONECT. study for the European Commission. These activities gave origin to the DG CONNECT's initiative STARTS - Science, Technology and the Arts in which he is extremely involved in. He and his colleagues at Artshare are actively contributing to the VERTIGO, CREATE-IoT and BRAINHACK EC funded projects. Sylvia Leydecker, Dipl.-Ing. BDIA, is an interior designer and founded her studio 100% interior, 1997, in Cologne. She is working on future-oriented spaces that reflect the company's identity in the sense of corporate identity, with a focus on healthcare. Sylvia Leydecker completed her studies after spending time in England and France, in Wiesbaden and at the Trisakti University in Jakarta. She is considered an expert on the use of nanomaterials and an author of the international publication (Birkhäuser publishers) "Nano Materials: in Architecture, Interior Architecture and Design". 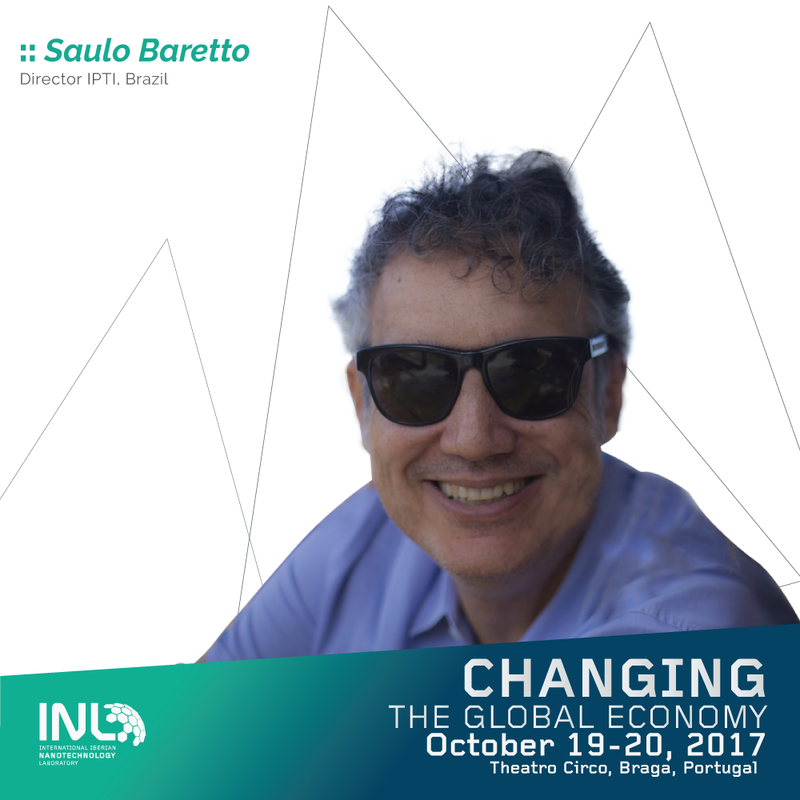 From Sergipe (Brazil), with a bachelor in civil engineering and doctor degree in structural analysis, Saulo Baretto helped to found the Research Institute for Technology and Innovation (IPTI) (2003) where his main work areas are related to the development and systematization of Social Technologies, mainly in the fields of education, health and creative economy. Since 2007 he coordinates an initiative for deploying a model for human development for vulnerable regions based on art, science and technology. Honor Harger is the Executive Director for ArtScience Museum at Marina Bay Sands. A curator from New Zealand, she has a strong interest in artistic uses of technologies and in science as part of culture. Honor brings with her over 15 years of experience of working at the intersection between art, science and technology. She is responsible for charting the overall direction and strategy for ArtScience Museum. Honor's artistic practice is produced under the name r a d i o q u a l i a, which is a collaboration with Adam Hyde. One of their main projects was Radio Astronomy, a radio station broadcasting sounds from space. She has lectured widely including at the conferences TED, and LIFT, as well as at the European Space Agency, the Centre Pompidou in Paris, California Institute of the Arts and the American Film Institute. Mr. Yeon has obtained a master’s degree in Management Sciences at the University of Hull, UK and worked for management & IT consulting industries in ever-challenging global business environments in the past 20 years. Throughout his career, he has strived to be a “trusted advisor” with a unique quality of soft and hard skills based on both many years’ research activities and experiences on various consulting best practices, in applying BPR, IT and Market & Business Strategy for major Korean and global blue chip companies. His current responsibilities at CCEI are ranging from working with Korean central and regional governments for formulating creative economy strategies, fostering startup eco-system in the metropolitan city of Daegu, to identifying and supporting local SMEs with innovative technologies. He is also involved with leading and coaching his organization to explore new collaboration opportunities with overseas venture capitalists and acceleration intuitions. Ricardo Costa is the Editor in chief of information of SIC Television and general director of information of Group Impresa since March 2016. He was also the Expresso Newspaper Editor in chief from 2011 to 2016 - Expresso is a weekly newspaper, the most relevant newspaper in Portugal, both on political and economic issues -, deputy Editor at Expresso between 2009 and 2010, Editor in Chief at SIC Notícias, the first 24 hours news channel in Portugal, from 2003 to 2008. Ricardo Costa is also a regular columnist at Expresso, Expresso Daily (digital only) and Expresso Online. Opinion maker on political and economic affairs at SIC Television and SIC Notícias. Las of all, Ricardo is author and co-host at “Expresso da Meia-Noite” (The Midnight Expresso), one of the most relevant information shows at the Portuguese cable television, broadcasted every Friday night since 2002. José Tavares earned his doctorate in Economics at Harvard University, where he specialized in Political Economy and Macroeconomics, and is currently professor of economics at NOVA University and Research Fellow at the Centre for Economic Policy Research (CEPR) in London. José has taught economics at Harvard University, University of California Los Angeles (UCLA), and Universidade Católica Portuguesa. José´s research addresses a broad set of issues including democracy and economic growth, the cost of gender discrimination, and the diverse consequences of globalization, and has been published in journals such as the Journal of Monetary Economics, the Review of Economics and Statistics, the Journal of Public Economics, and Economics Journal, as well as volumes edited by Harvard University Press, MIT Press, and Princeton University Press. In 2016 José co-edited, with Francesco Caselli and Mário Centeno, "After The Crisis: Reform, Recovery, and Growth in Europe", published by Oxofrd University Press. José´s academic work has been commented Time Magazine, The New York Times, Handelsblatt, La Republica, Expresso, and Público. Luc Soete is honorary Professor of International Economic Relations at Maastricht University in The Netherlands. Until September 1st 2016, he was Rector Magnificus of Maastricht University. Before taking on the Rectorship in 2012, he was Director of the United Nations University research and training institute: UNU-MERIT located in Maastricht, The Netherlands and Dean of the Maastricht Graduate School of Governance (MGSoG) at Maastricht University. Over the last 30 years, Luc Soete has contributed as (co-)author and (co-)editor to some 11 books, 50 refereed articles and some 100 chapters in books. In 2002, he received the MSM Honorary Fellow Award, in 2007 the Belgian reward Commandeur in de Kroonorde, in 2010 a Doctor Honoris Causa from his Alma Mater, the University of Ghent, in 2013 from the University of Liege and in 2016 from the University of Sussex. He is a fellow of the Royal Dutch Academy of Science (KNAW) and a member of the supervisory board of the Technical University of Delft. He has been chairman of the Research, Innovation and Science Expert (RISE) group for Commissioner Carlos Moedas. Pedro Matos has a degree in Organization and Management from Higher Instituto Superior das Ciências do Trabalho (ISCTE). During his professional career, he was CEO of UNISYS Portugal (1991), Spain and Portugal (1995), Southern Europe, Italy, Spain and Portugal (1998), CEO of ONI (2000-2005) and Chairman of the Board of Comunitel Spain (2001-2005). After 2006, Pedro Matos was the Non-Executive Director of INAPA, member of the Advisory Board of the ORACLE Ibérica and later founded the “MY CHANCE” between 2006-2013. He is also the mentor and organizer of GreenFest – Major Sustainability Event in Portugal – and organizer of Forum Expresso XXI. After this unique professional path, he was board member of PWN Professional Women Network, member of the remuneration committee of BRISA, founder of COMMIT CONSULTING, member of the Advisory Board of Fábrica de Startups and master class teacher in the field of entrepreneurship at Católica Lisbon School of Business and Economics. Dr Steffi Friedrichs is a Policy Analyst for Biotechnology, Nanotechnology and Converging technologies at the Organisation for Economic Cooperation and Development (OECD). Steffi’s expertise in technology research, development and commercialization goes back to her role as a Senior Nanotechnology Consultant at The Technology Partnership, where she was responsible for the development of nanotechnology innovations and contributed to the tendering and due diligence processes for the networks of the UK Government’s Department of Trade and Industry. She was also a member of the Board of Directors of the Chicago Micro- & Nanotechnology Community (CMNC). Steffi started her scientific career with an undergraduate degree in 'Diplom-Chemie' at the Technical University of Braunschweig (Germany), before taking a DPhil in nanotechnology and a Diploma in Learning and Teaching in Higher Education at the University of Oxford (UK). She subsequently held a Fellowship at Oxford University and a Lectureship in Nanotechnology at Cambridge University, where she developed and coordinated a Master’s Programme in Micro- & Nanotechnology Enterprise. Nicklas Bergman is strategic advisor to European Commissioner Carlos Moedas and the European Innovation Council, working on a new innovation strategy for Europe. He is also the Scandinavian representative of the TechCast Technology Think Tank in Washington and member of both the World Future Society and the Long Now Foundation. In 2016, Bergman published a book on how to deal with new technologies from a business perspective: Surviving the Tech Storm – Strategy in Times of Technological Uncertainty. With the conviction that technology is probably the strongest driver of change today, it’s obvious that anyone in a management position, or aspirations to eventually be in that position, must understand how technology is changing business from the ground up. Bergman is also part of Nordic Ways, the 2016 project at the SAIS Center for Transatlantic Relations at Johns Hopkins University in Washington D.C., USA. Bergman is co-founder and investor in several companies including the Volvo trucks and buses distribution network in Romania. With close to 150 high-profile customers in more than 30 countries worldwide, the technology was acquired by FEI in 2013. Mr. Juan María Vázquez Rojas is the Secretary General of Science and Innovation and his functions are the proposal and execution of the Government's policy in the area of ts competences in the field of Innovation, Promotion of Competitiveness and Singular Scientific-Technical Infrastructures, as well as all others contemplated in Royal Decree 345/2012, of February 10, which develops the basic organizational structure of the Ministry of Economy and Competitiveness, and its subsequent modifications. He is also the President of the Public Business Entity Center for Industrial Technological Development (CDTI), attached to the Ministry of Economy, Industry and Competitiveness through the General Secretariat of Science and Innovation. Manuel Heitor is Minister for Science, Technology and Higher Education in the Government of Portugal since November 2015. From March 2005 to June 2011 he served as Secretary of State for Science, Technology and Higher Education. Manuel Heitor is a full Professor at Instituto Superior Técnico, IST, the engineering school of the University of Lisbon and was founder and director of the IST´s “Center for Innovation, Technology and Policy Research”, as well as director of the IST´s doctoral Programs in “Engineering and Public Policy, EPP” and in “Engineering Design”. In 2011-12 he was a Visiting Scholar at Harvard. He earned a PhD at Imperial College, London, in 1985 in combustion research and did post-doctoral training at the University of California San Diego. Then he pursued an academic career at IST, in Lisbon, where he served as Deputy-President for the period 1993-1998. Since 1995, he has been Research Fellow of the IC2 Institute of the University of Texas at Austin. He is a founding member of the S&T Council of the “International Risk Governance Council”, IRGC. He was a co-founder of the European network “science, technology, education and policy for Europe, step4EU”.